Serge Storms, the history-loving, letter-writing, possibly certifiable serial killer, returns for another adventure. 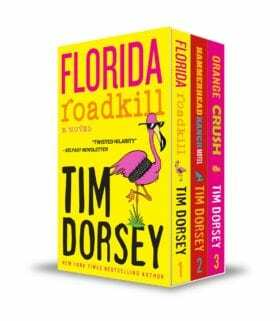 This time the one-man crime spree swings through Florida before settling down in Miami Beach to launch his long-overdue offbeat travel service. It’s a labour of love as Serge forces customers to confront the underbelly of the American state’s past and present. All while multi-tasking to battle the Palermo crime family, mystery assassins, local police, the FBI, the CIA, telemarketers . . . and solve a forty-year-old mystery involving the infamous “Murph the Surf” gem heist!